1.1 "BV" means Bureau Veritas Marine & Offshore SAS, incorporated as a "société par actions simplifiée" listed in the Nanterre Trade under number 821 131 844 and having its registered office located at 8 Cours du Triangle, 92800 Puteaux, France, or any other fully owned and controlled affiliated company of Bureau Veritas Group. 1.2 "MY BWMP" means the website application (“Desktop” or “Desktop application”) of MY BWMP available to each User having obtained a Right of Access to MY BWMP. The Desktop application can be found at http://mybwmp.bureauveritas.com. 1.3 "Right of Access" means the Right of Access to MY BWMP which is granted by BV to the User and to which a login and a password are associated. 2.1 MY BWMP is an online website for shipowners, BV clients, which aim to facilitate the Ballast Water Management Plan -approval (Regulation D1) as per the Water Ballast Management Convention. 2.2 MY BWMP is available online and may include features and IT applications developed and owned by BV partners. 2.5 BV reserves the right to change the services and the content of the MY BWMP at any time and without any prior notice. 3.2 Users will access and use MY BWMP for the sole purpose of their professional activities and will not use information for non-professional purposes and inconsistent with the purpose of MY BWMP. 3.3 It is expressly stated that any other use of MY BWMP, in any form and in any place whatsoever is illegal, including any distribution of the service or use of the service by third parties or by competitors of the Bureau Veritas group. The User ensures, on the basis of an obligation of result, to keep the logins and passwords secret. In case of loss or theft of the logins and passwords, the User will immediately inform BV of this by fax or e‑mail, with acknowledgement of receipt, so that BV can disable the corresponding access. 4.4 Any operation performed on MY BWMP by a User shall be deemed to have been performed by the User, who is liable for safeguarding the confidentiality of the logins and of the passwords, and for the use that is made of them. BV may under no circumstances be held liable for loss of the login and/or of the password of a User or for fraudulent use of the login and/or of the password of a User for accessing MY BWMP. 4.5 The User shall inform immediately BV of any unauthorized use or access to his MY BWMP account. 5.1 The User undertakes to take all steps it deems appropriate and sufficient to protect and to safeguard the data and documents that belongs to him and that is stored, distributed, or available on MY BWMP. 5.2 The User can upload documents on MY BWMP in .doc, .xls, .pdf, .pps, .zip format whose size do not exceed 100 MB per document. 5.3 The User guarantees the integrity of the documents uploaded by him on MY BWMP and that these documents do not contain any virus, spyware or any other malicious software that could affect BV's network or information system. 5.4 The User undertakes to ensure that the messages, questions or queries left on MY BWMP do not contain any racist, insulting, offensive, vulgar, threatening, or pornographic content or any incitement to violence, or anything defamatory to any third party, or not counterfeiting any third party’s intellectual property rights, or more generally anything that is against the law. 5.5 The User shall provide BV with the relevant Ballast Water Management documents as required for the proper performance of the service and shall ensure that the documents are accurate in all material respects. "Bureau Veritas", "MY BWMP" and the other names, trademarks, logos, domain names, sub-domain names, trade names, whether registered or unregistered under which BV and its affiliated companies carry on their businesses, are and remain fully owned by BV and/or by its affiliated companies. Any use of the Brands by the User is strictly forbidden unless BV gives prior written authorization for such use. MY BWMP website and its component, including but not limited to drawings, models, images, texts, photos, graphic charts, software, search engines, source and object codes, as well as all website and application design documents (architecture, site arborescence, navigation, design, screens), files, data, information, and the presentation of the service (screens, hyperlinks, look and feel), are and remain the exclusive property of BV. As the holder of intellectual property rights on MY BWMP Desktop application, BV grants the User a non-exclusive, revocable, non-transferable right to access and use of MY BWMP Desktop application, subject to payment according to Clause 7.4, for the duration defined in section 9, worldwide. The User understands and agrees that each User must obtain one individual access to MY BWMP. An access may not be shared among two or more Users. The User will not: (i) make any reproduction, copy, modification, extraction or re-use of all or part of the information and data published on the MY BWMP or which is required for their operating; (ii) license, sublicense, sell, resell, rent, lease, transfer, assign, distribute, time share or otherwise commercially exploit or make the MY BWMP available to any third party; (iii) use MY BWMP to collect, transmit or process (a) infringing, offensive, obscene, threatening, libelous, or otherwise unlawful or tortious material, including material that is harmful to children or violates third party privacy rights; or (b) send, store, publish, post, upload or otherwise transmit any viruses, Trojan horses, worms, time bombs, corrupted files or other computer programming routines that are intended to damage, detrimentally interfere with, surreptitiously intercept or expropriate any systems, data, personal information or property of another; (iv) interfere with or disrupt the integrity or performance of MY BWMP; or (v) attempt to gain unauthorized access to MY BWMP; (vi) use or knowingly permit the use of any security testing tools in order to probe, scan or attempt to penetrate or ascertain the security of MY BWMP, without the prior agreement of BV and provided any security testing shall be scheduled at a mutually agreed-upon time; (vii) access MY BWMP for the purpose of building a similar or competitive offering; (viii) copy, translate, create a derivative work of, reverse engineer, reverse assemble, disassemble, or decompile MY BWMP or any part thereof or otherwise attempt to discover any source code or modify MY BWMP. The User shall make reasonable efforts to report to BV and use reasonable efforts to stop any copying or distribution of MY BWMP that is known by the User. The User shall not impersonate another user or provide false identity information to gain access to or use MY BWMP. Whoever uses MY BWMP agrees to the said control. BV reserves the right to take legal action against any person who is responsible for breaching the aforementioned limitations. The subscription price (“the Price”) is indicated on MY BWMP and includes all taxes. BV shall have the right to modify the price at any time with prior notice on MY BWMP Desktop application. Any VAT (Value Added Tax) will be impacted automatically and immediately on MY BWMP. It is reminded that the connection and communication (internet) costs relating to the use of MY BWMP is supported only by the User. Payment shall be made directly on MY BWMP website using a credit/debit card (VISA, MasterCard, American Express) or wire transfer (Direct Debit) The Price shall be paid in one of the following currencies: EUR (€) or USD ($). When purchasing Ballast Water Management plans review from MY BWMP, User agrees to pay the amount quoted. User is the sole responsible for the document it purchases and BV shall not have the obligation to reimburse User of the price it paid if User made a mistake in selecting a ship. However, BV may, in its sole and absolute discretion, reimburse the User being legitimately unsatisfied with the service. The User shall make its demand at the following e-mail address: mybwmpmail@bureauveritas.com or contact directly the local BV Office they are in business with. As the producer of the database made available to the User, BV grants the User the following rights of use: (i) the right of access to MY BWMP; (ii) a manual or automatic integration right of his data into MY BWMP; (iii) the right to modify and update his data; (iv) a limited right to extract its own data, and the data shared between the User and other Users. To this end, the User is authorized to extract and reproduce either in paper or electronic form, and to integrate his own data to other components or databases; (v) all of these rights are exclusively intended for personal and internal use by the User. Therefore, the User shall not: (i) access, view and retrieve data other than those specified in this section; (ii) make any modification of MY BWMP, and shall insert in the database relevant data only; (iii) reproduce, adapt, modify, alter, arrange or translate MY BWMP; (iv) alter in any manner MY BWMP structure; (v) market, redistribute (for a price or at no cost) all or part of MY BWMP or the extracted data. In any case, access and use of MY BWMP and data by User shall be under the sole control, management, risk and responsibility of the User. Unless otherwise specified, each Right of Access to MY BWMP is granted to the User for the legal term for protection of intellectual property rights and may be terminated by BV or by the User at any time, subject to giving prior written notice of one (1) month. 9.2 BV may, at its sole discretion, suspend temporarily any or all of MY BWMP services for security reasons or for the purposes of maintenance, repair, servicing, and/or improvement of the systems. In such case, BV undertakes to perform such operations as quickly as possible. 9.3 BV will make its reasonable endeavors to make MY BWMP available 24/24 hours and 7/7 days. However, if (i) a force majeure event occurs, (ii) the connection is slow or (iii) MY BWMP Desktop application is overloaded or unavailable due to electronic communication networks, access to all or part of MY BWMP Desktop application may be slowed down or interrupted. Furthermore, MY BWMP may undertake corrective or preventive maintenance. Accordingly, BV does not assume any guarantee of availability or continuous access to MY BWMP Desktop application. 10.1 The User declares that it has the necessary skills and resources for accessing and using MY BWMP. The User also undertakes that: (i) the browser the User will use allows a secure access to MY BWMP Desktop application; (ii) that his computer configuration contains no virus; and (iii) that his IT resources are in good working order. 10.2 The User undertakes not to hinder or to disrupt the operation of MY BWMP. 10.3 The User is informed and accepts that BV cannot maintain optimum security, even though BV undertakes to take all necessary steps to prevent any breach of the security system. 10.4 In spite of the procedures implemented by BV to ensure that MY BWMP is secure, third parties may fraudulently insert some links to third party websites or to third party Internet sources, or may even alter its content, preventing BV to stop such action immediately. In such a case, BV shall not be held liable for such external sources and websites being made available, and cannot assume any liability in regards of their content, and in regards of whether the advertisements, products, services or any other material available on or from such external sources or websites are accurate, up-to-date, of good quality, exhaustive, relevant, or legal. 11.1 Each party shall be responsible for carrying out the formalities it is required to carry out under personal data protection laws and regulations, in particular the French Act No. 78-17 of January 6, 1978, on Data Processing, Data Files and Individual Liberties (the “French Data Protection Act”). 11.2 Each party warrants to the other that it has complied and will comply with applicable personal data protection laws and regulations. 11.3 Pursuant to the French Data Protection Act, the individual whose data are used by each of the parties have a right to access, modify and rectify and inquire about such data. Unless otherwise stated in the personal data collection form, such right may be exercised by contacting each party concerned at the respective registered offices. 12.1 The computer records stored on the computer systems of BV under reasonable conditions of security will be regarded as evidence of communication, and shall take precedence over the User’s document stored on written medium or electronic file in case of inconsistency with any such document of the User. 13.1 It is expressly agreed that access to MY BWMP is provided “as is” and without any guarantee of any kind whatsoever, whether express or implicit, including although not limited to, implicit guarantees of conformity to a particular use. 13.2 BV does not make any warranty on the compatibility of the browser used by the User and MY BWMP. 14.2 BV declines any liability for direct or indirect property damage or consequential losses, punitive damages, legal fees such as financial loss, loss of data, computer viruses or bugs, loss resulting from an error, or from information consulted or downloaded on MY BWMP, or loss or shortfall when any request or query is made or entered on MY BWMP, and any damage or loss that might be consequent upon consultation of MY BWMP, or upon use of their content by anyone whomsoever, as well as in the event of lateness in updating the information, or of errors or omissions in the content of these pages, in particular due to fraudulent alterations made by third party (intrusion, virus, etc.). 14.3 MY BWMP may include hypertext links to third party applications on the internet network. MY BWMP has no means of controlling the content of such third party websites or applications which remain entirely independent of MY BWMP. In addition, the existence of a link between MY BWMP and a third party website or application never means that BV approves the content of such third party’s website or application on any grounds whatsoever and therefore the use that may be made of such content. Accordingly, BV’s liability shall never be committed on the grounds of a third party’s website or application which the User may access via MY BWMP. In the same way, BV declines all liability regarding the content of third party’s websites or applications directing to MY BWMP. 15.4 BV and/or its partners may not be held liable for the improper use of MY BWMP by the User, for unavailability of MY BWMP, and, in general, for any disturbance whatsoever that might result from difficulties related to the operation of MY BWMP (cases of force majeure, difficulties related to the structure of the telecommunications network, or to any technical difficulties, or any down times whatsoever for maintenance or failure). 14.5 The User shall be liable if he does not systematically log off from MY BWMP by clicking the "Quit"/"Log-out" button in order to interrupt his secure session and to keep the information confidential. 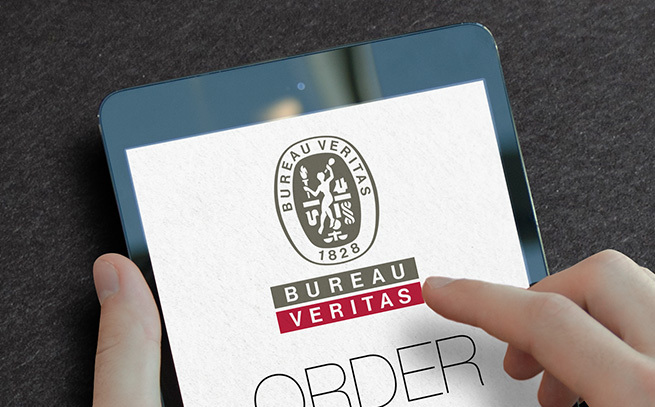 The User waives the right and undertakes to have his insurers waive the right to any action and any third party claim against Bureau Veritas and its insurers, except in case of gross negligence and willful misconduct. 17.2 Cookies are only technical ones and disappear when the User shuts his/her browser down. 17.3 MY BWMP may use service providers, software or third party components for cookies' management. They may record cookies in the name of MY BWMP.